So you folks know how much I love trains. How, everytime Nolemana and I go anywhere, we’re alla time looking for trains to photograph. We’ve gotten some amazing shots throughout the Pacific Northwest, including Idaho and Montana. I’ve been called a foamer. I prefer to think of myself as a railfan. 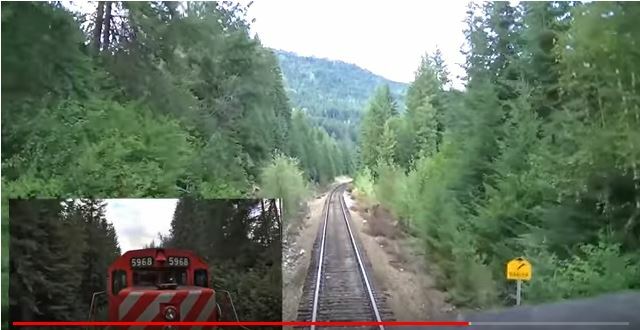 I belong to several railfan groups on Facebook; I’ve seen and loved some amazing drone footage by people who follow trains from the air. Adunno hacome I love trains so much; maybe because my dad used to work for Kahului Railroad on Maui. And no, even though I’m part Welsh, I don’t know how to pronounce those names. The first one kinda looks like ‘carnation”. 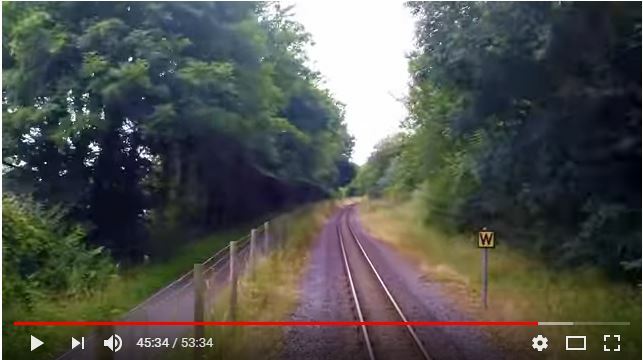 But I did learn something: everytime there’s a W sign next to the tracks, the engineer has to blow the train whistle. 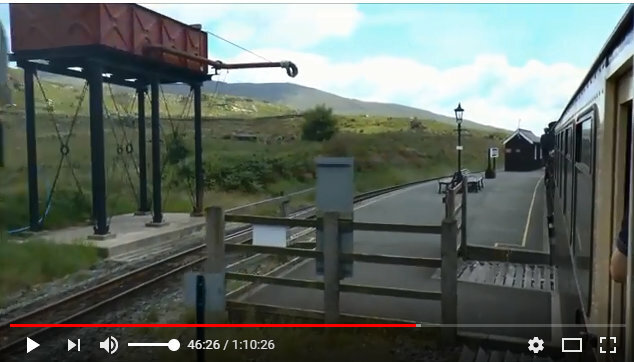 I got to see tiny railroad stations, and water towers, and the incredibly lovely Welsh countryside. There were tons of these old stone bridges along the way, too. And try look this cool stone wall! 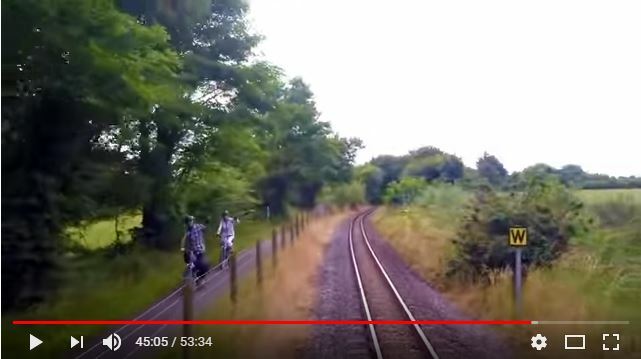 These cyclists waved to the train as it went by. 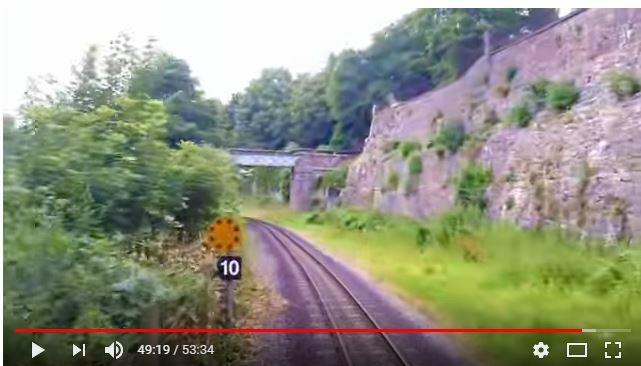 I loved the slow, meandering ride on this train so that I could take in the gorgeous countryside. But I also discovered that I could ride the high speed trains, too. This one’s in France. I can even be in the cab on the Bullet Train in Japan! 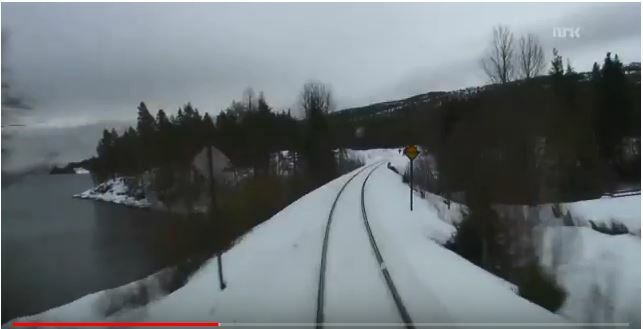 I can go to Norway and ride through the snow!! With the click of my mouse button, I can be in B.C.! This has opened up worlds to me!!! 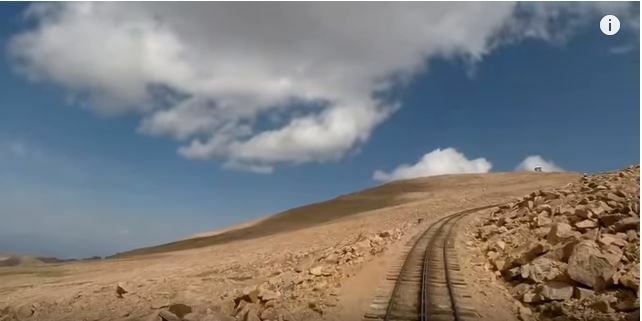 I can even go on the cog railroad up to the top of Pike’s Peak in Colorado! So which one’s my favorite? 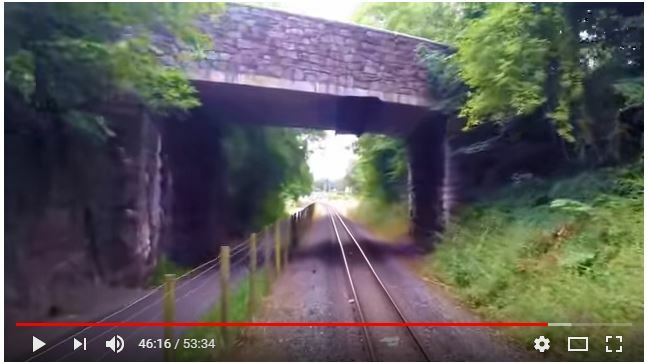 Well, I keep going back to the slow train in Wales…I love the sound of the wheels as the train chugs along the tracks. I love seeing the countryside and the people. Most of all, I love that I can go to parts of the world where I will undoubtedly never go and enjoy the sights of those countries. Oh, try wait. Most of all, I love the trains. This entry was posted in Da Kine: Sometimes Full-on Pidgin, Trains. Bookmark the permalink. 6 Responses to Trains and More Trains! 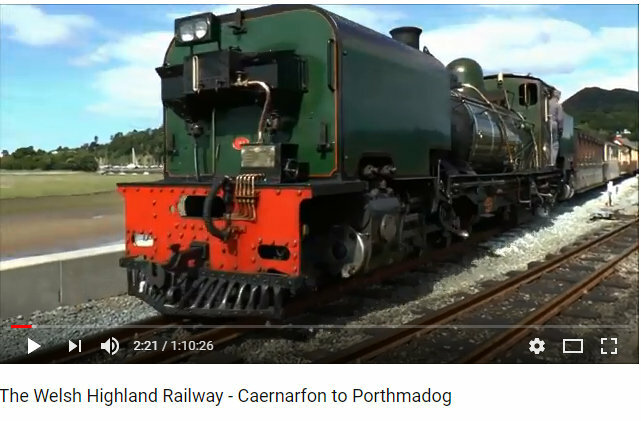 Oooh, that looks like fun even though I’m not a railfan! Off to “visit” Wales! It’s a really lovely trip!! Thanks for riding along. Moki-chan, we have friends who are model rail enthusiasts who call themselves “trainiacs,” a word I love. I also love train travel. AND I always think of you when I see trains! I love that!!! Trainiacs!! I haven’t heard of NHK and will definitely check it out. I belong to a couple of rallfan groups on Instagram, one that uses drone footage (far away from the trains…they are very respectful of the engineers’ space. Mahalo for the links! I would like to be called trainiac instead of foamer. A friend of mine’s hubby is a conductor and he says we’re foamers because we foam at the mouth when we see trains. LOL. For what it’s worth, “At Home with Venetia in Kyoto” is also an NHK World show. Don’t know how much of it you can find on Youtube. We get NHK World through our cable package. I would think that since I can get Venetia in Kyoto (which I love) I can get the trains. Haven’t had time to fully check it out yet, but so far so good!